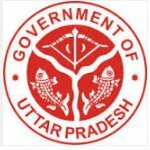 Uttar Pradesh Basic Education Assistant Teacher recruitment apply for 16448 jobs : Uttar Pradesh Basic Education Parishad welcomes application for the position of 16448 Assistant Teacher for primary school. Candidates who completed their Degree, B.L.Ed. is a good opportunity.The individuals who are the occupation seekers searching for govt employments in Uttar Pradesh this is the best chance to apply. Competitors read the official notification then read all the guidelines and miners precisely then apply before the last date online application got. All the interested and eligible candidates can apply online before 11th July 2016. Govt jobs for Degree, B.L.Ed. Educational Qualification for the Job: Degree, B.L.Ed. Academic qualification details: Candidates should have possess any degree with 02 year BTC Training / 2 year BTC (Urdu) training / specific BTC or D.Ed. (Special Education) / 4 year BL.Ed. from NCTE approved and must be quality in eligible test (1 to 5th classes). Details of Fee particulars: All the interested and eligible candidates are need to pay application fee Rs 500/- for general categories candidates / other backward class categories candidates and Rs 200/- for schedule caste categories candidates (SC) / schedule tribe categories candidates (ST) through Janapad / Sachi / Uttar Pradesh Basic Education Parishad, Allahabad for any Japanad branch of State bank of India. There is no fee for physically handicapped categories candidates. Official website: All the interested and eligible candidates can apply online through official website of Uttar Pradesh Basic Education Parishad www.upbasiceduparishad.gov.in from 30th June 2016 to 11th July 2016. Important Dates: Starting date for the submission of online application is 30th June 2016. Last date for the submission of online application is 11th July 2016. Last date for the payment of application fee through e-Challan is 13th July 2016. Last date for the submission of online application is 15th July 2016. Date of error correction in application form is from 19th July 2016 to 20th July 2016.